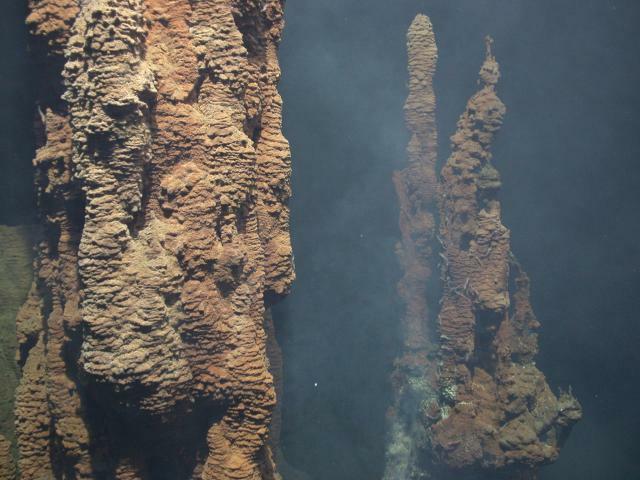 Hydrothermal vent structures at the site Mariner. This site is unusual in its lack of symbiont-containing fauna. The red appearance of the chimneys is due to presence of iron in the sulfide structures.